Dubby and iamdef like this. What in the world?!? Out of nowhere, Ewing just listed 4 colors of the Orion mid! From what I recall, it looks like 1 OG (black/gum), and 3 new colors at $75 each. Hopefully this means the lows are on the way as well. So excited! As soon as I saw these drop I scooped the black/gum color way from drjays.com. Got them for $65 shipped. iamdef, ogotkicks4dayz, rob1ne and 2 others like this. 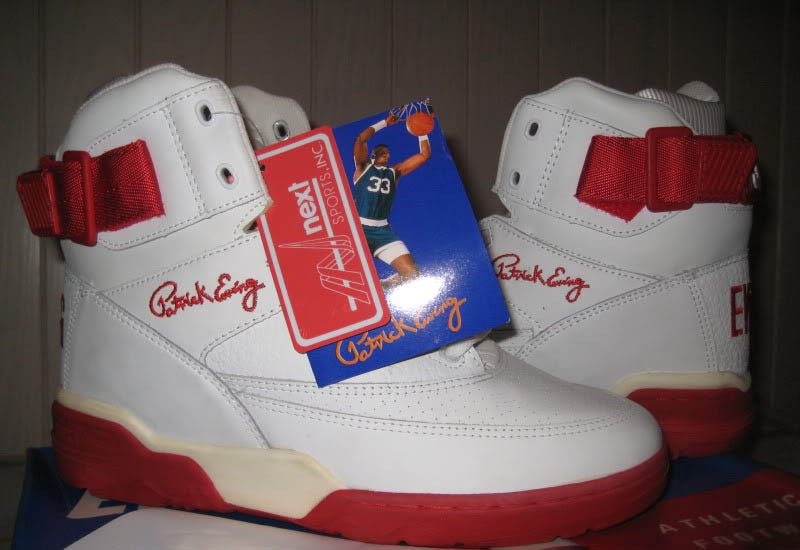 I remember SepatuFresh had one of the ''MEANEST'' vintage Ewing collection that I've ever seen. Shout out to him, his video was greatly appreciated. Ewing Tryout HI, Ewing Anode Low, Ewing Wrap Mid, etc. superchrgdjohn and Dubby like this. No love for the multi weave joints that just came out? Big pun pair is live on Ewing.com , got mine otw. superchrgdjohn and big j 33 like this. sylvestermcgrizzly and big j 33 like this. thanks for continuing to update the thread. I love my Ewings.. and I'm still checking for a good deal or new style. big j 33 and Dubby like this. Kakared, sylvestermcgrizzly and big j 33 like this.